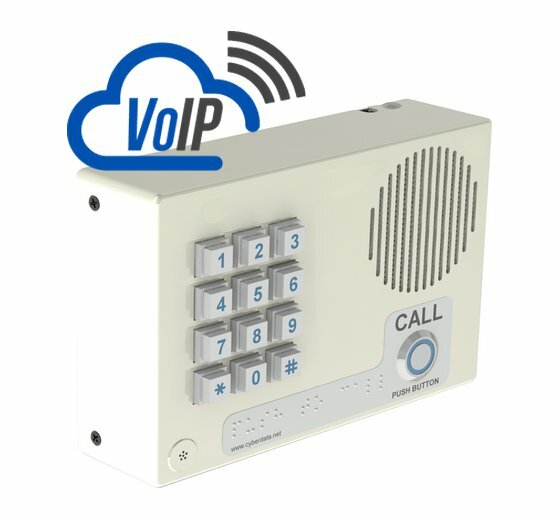 The 3cx door phone registers to the 3CX SIP Server as an approved 3rd party sip extension. 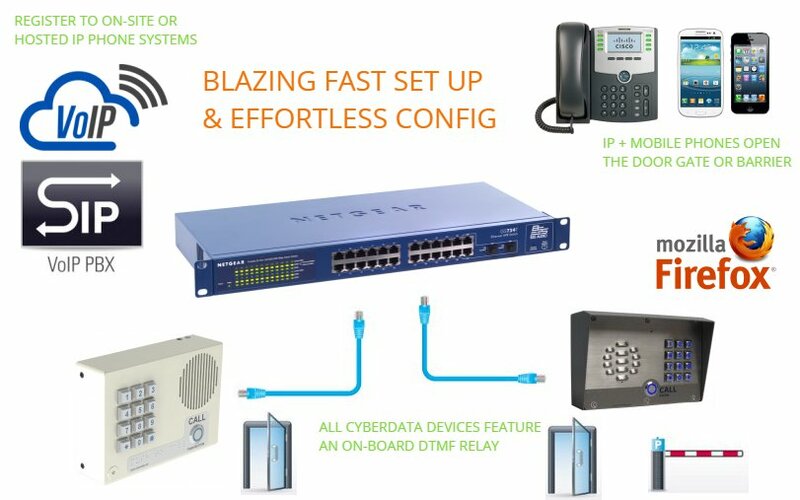 Once integrated to the Phone System, the device makes and receives calls. The on-board relay triggers doors, gates and barriers. 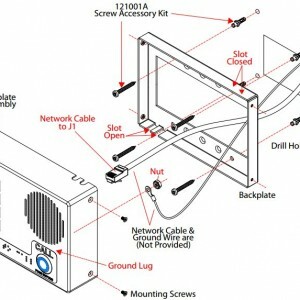 NO other hardware is required. Cat5e and POE completes the hardware installation. A web-browser (Safari, Internet-Explorer, Chrome or Firefox) is used for configuration. High End product made in the USA. 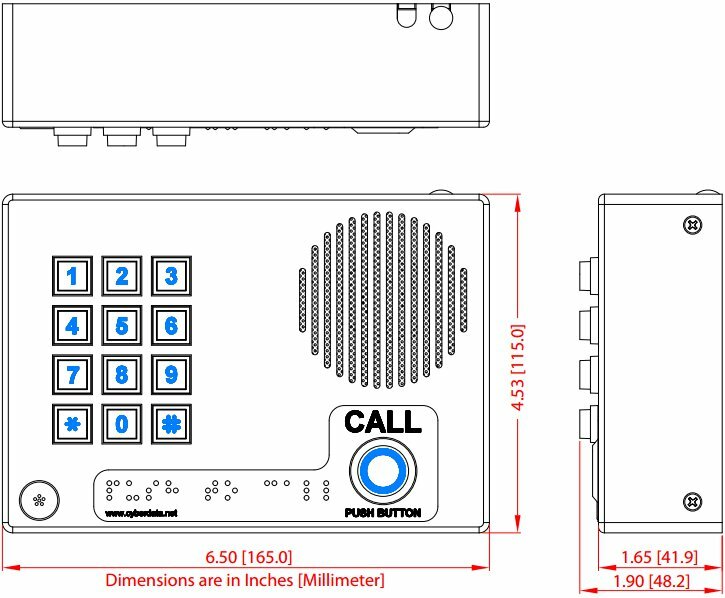 3CX range includes: Indoor & Outdoor, with and without keypad. 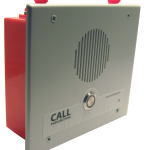 3cx door phone for site and door entry applications. Made from a robust stainless steel and ip65 rated. 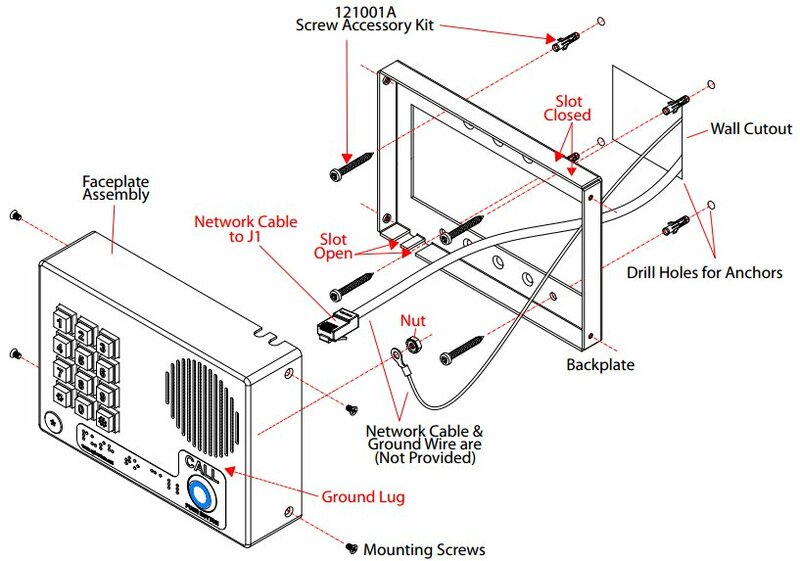 The device is perfect for automated gates, barriers and doors. 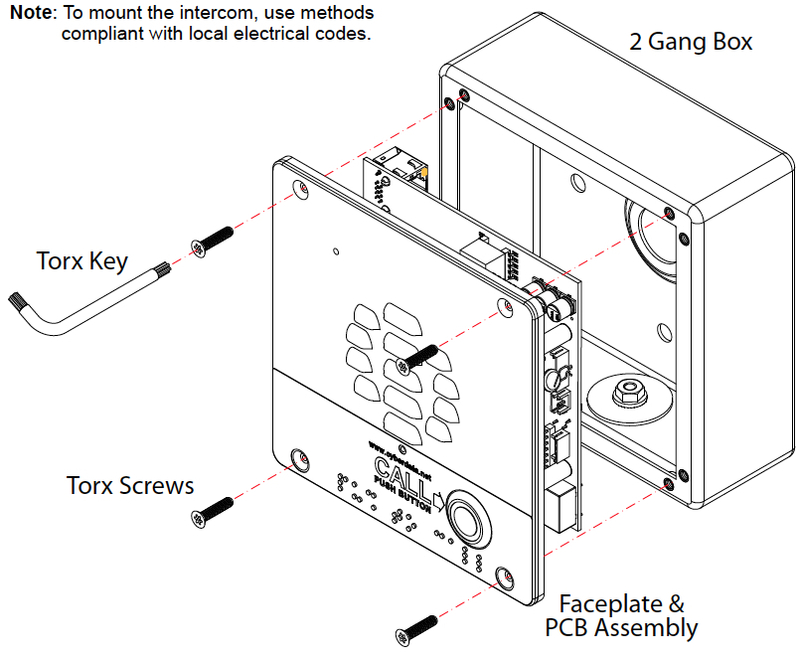 The 3cx door phone is manufactured by CyberData corporation (distributed by iEntry Systems). CyberData corporation is an American manufacturer of SIP secure entry systems. A high-end product without the high-end price tag. 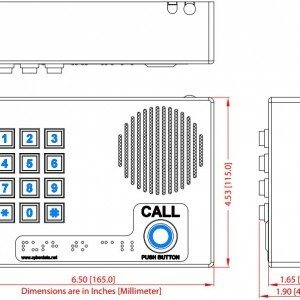 Other intercom/door phone systems require multiple hardware and software parts to complete the installation. The CyberData 3cx door phone needs nothing else, other than the Intercom. A single Ethernet cable is used for connectivity. 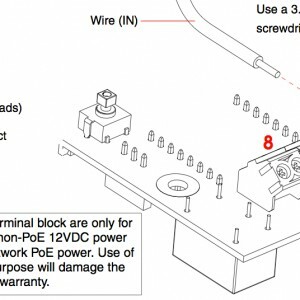 With POE, you send power down the same cat5e or cat6 cable, that is used to connect the 3cx door phone to the networking infrastructure. 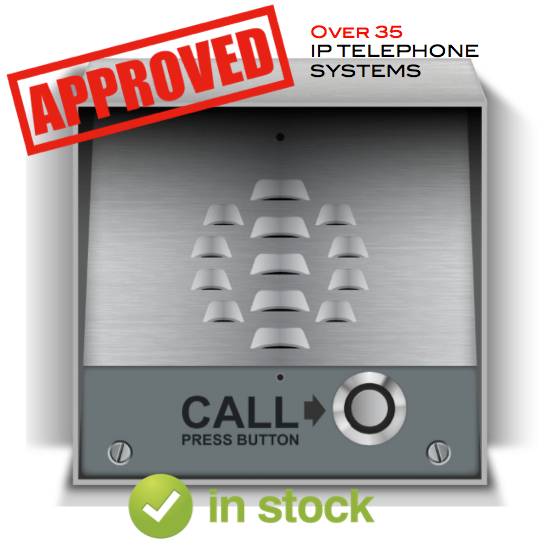 The IP Phones already bought for the 3cx SIP telephony system form part of the secure entry system. 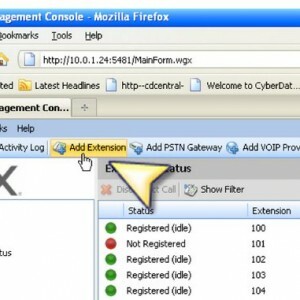 The site visitor (for example) would dial into the phone network, alternatively, they could press the Call Button, this dials a specific pre-set single extension number within the enterprise. 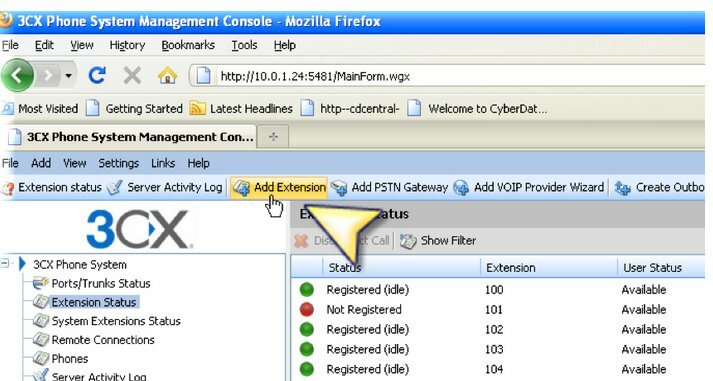 Before the install was complete, you would pre-set a DTMF string through the web-page configuration parameters. 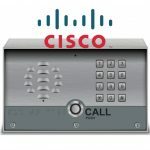 When the intercom calls another IP Phone, that user would press the DTMF string (for example 321) and the door,gate or barrier would open. See DTMF Page. Where to next ? Go ahead and purchase on-line, this is a high stocked item.